Organizations are constantly searching for innovative ways to recognize and inspire the workforce. Often times, special events are scheduled to highlight certain accomplishments, and create enthusiasm for upcoming goals. These events can include Sales Conferences, President’s Clubs, Executive Summits, Rep Councils, Winner’s Clubs, etc. In addition to the already established sales programs, CS Recognition Solutions creates a new level of excitement at each event. With custom designed awards, imaginative promotional items, room drops, and high-energy celebrations, we can truly create unforgettable events. One of our most exciting and popular events is the Warehouse Dash. In this high energy event, your employees will run through the warehouse grabbing merchandise of their choice in a race against the clock. This event can be customized to your budget and product preferences. Typically held in Chicago, or we can bring the warehouse to your location. We also partner with award vendors to create customized award ceremonies including On-site Gift Booths with experienced staff on hand to help each attendee individually select his or her gift of choice. An example of this would be the Maui Jim® Global On-Site Custom Fitting and Dispensing Program. This is an excellent option to fit all types of budgets and occasions. Tell us when and where your event will take place, and Maui Jim® will set up a professional sunglass fitting station with multiple styles in each male, female, and unisex categories. Maui Jim’s® expert staff help participants choose a style that looks great and fits their lifestyle. The sunglasses are usually presented at the start of the program so recipients can take advantage of their reward throughout the event. 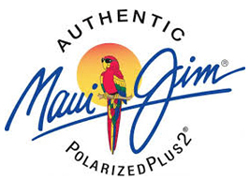 Maui Jim® will custom fit sunglasses by the pool, on the golf course, in an exhibit hall, or hospitality suite. There are endless opportunities to fit this program into your overall recognition event. Representatives cover their own travel, and are available in the contiguous United States, Hawaii, Mexico, Canada, Australia, Europe, and the Caribbean. This exciting program brings a higher value to your event and creates a truly memorable experience.